This Public Interest Design Institute event has ended. Many thanks to our hosts & our new friends in St Louis! This two-day course is presented by Design Corps, the SEED Network, and the Sam Fox School of Design & Visual Arts at Washington University in St Louis. Participants learned skills and methods to effectively engage in community-based design through professional fee-based projects. The Public Interest Design Institute curriculum is structured around the Social Economic Environmental Design (SEED) process and metric, which provides a guide for practice, documentation, and showcasing of public interest design projects. Successful participants earned 13 AIA/ASLA/USGBC HSW CEUs/PDHs/AXPs and certification as a SEED Professional. Pacia Anderson is a published poet, teaching artist, and community organizer. Pacia teaches performance poetry, creative writing, and mural art classes at St. Louis area schools. She is a founding member of Cherokee Street Reach, an arts-based youth initiative in South City, St. Louis. 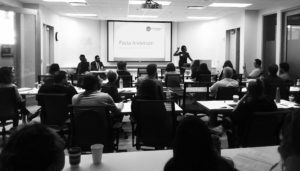 Pacia has served as a youth poetry slam team coach, journalist, community arts organizer, event and program coordinator, workshop facilitator, and curator, partnering with numerous city arts, education, and media institutions. 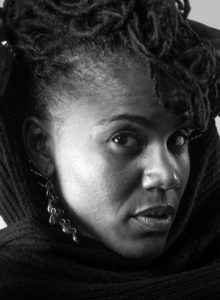 Pacia is a graduate of the Community Arts Training Institute, an Urban Bush Women SLI Fellow, collaborator with Yeyo Arts Collective, and chair of the St. Louis Brick City Poetry Festival. She received an AA from Southwestern Illinois College and is completing her B.S. in Education at Harris-Stowe State University in Saint Louis, MO. 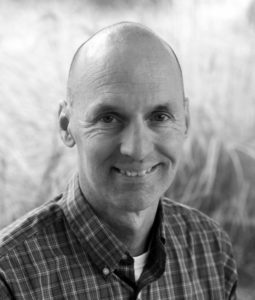 Rod Barnett is Professor and Chair of the Graduate Program in Landscape Architecture at Washington University in St Louis. 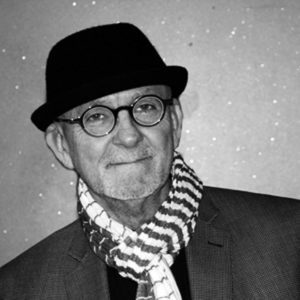 His research is in landscape emergence and nonlinear landscapes, which he explores through his teaching and practice. 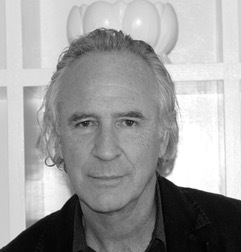 Barnett has written extensively on themes developed from his work, including interpretations of historical landscapes, indigenous place-making, and landscape systems as emergent conditions in sites as far-flung as the coastlines of Tonga, the Mississippi Delta, the under-served districts of St Louis, MO, and the stone alignments of Carnac in Brittany, France. He maintains an experimental practice investigating relationships between the human and nonhuman realms. Mark Cross is the Director of the Flance Early Learning Center. Prior to Flance, he was the Director of Interchange, a collaborative arts integration program at COCA. Interchange worked at twelve elementary schools across five school districts, including one charter school and one independent school. In addition, he taught for 11 years at Vashon High School in the the St. Louis Public School system. Mark brings over 15 years of educational experience to the position. Prior to his time in education, he worked for 10 years in the healthcare industry with the Sisters of Mercy Health System. 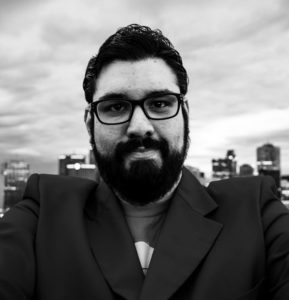 John Cruz is an urban planner who currently works for the non-profit community development organization Rise. As the Data Management Coordinator, John uses mapping data, geospatial data, and census data to tell a visual story of what is happening with land use in the St. Louis region while tracking neighborhood change over time. He assists community partner organizations to interpret and utilize data in a way that can positively impact their service areas. He also provides technical assistance and consulting services to non-profits and local government, while also working on community planning efforts. 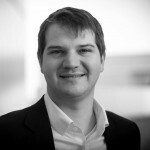 John holds an undergraduate degree in web development from Baker College and a graduate degree in urban planning from Wayne State University, both in Michigan. Amanda Colon-Smith is the Acting Executive Director at Dutchtown South Community Corporation in South St. Louis. 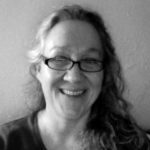 She works with a range of stakeholders in the Dutchtown, Gravois Park, Marine Villa, and Mt. Pleasant neighborhoods. The organization focuses on Housing Development and Stabilization as well as Community Planning and Facilitation. The organization seeks to advance neighborhood vitality through resident-led activities. As the Program Director at the organization over the last 3 years, she has engaged residents and supported them in building the neighborhoods they want and deserve. She is also motivated by the possibilities in integrating the arts into community development initiatives and is a graduate of Regional Arts Commission’s Community Arts Training Program. Joel Fuoss, AIA, has spent 14 of the last 16 years in a variety of roles at Trivers Associates. In his role as Principal, he provides design oversight on all firm projects. Joel has been involved in some of the firm’s most visible projects, including the Flance Early Learning Center, the Adam Aronson Fine Arts Center at Laumeier Sculpture Park, and the Art & Design Building Expansion and Renovation at Southern Illinois University-Edwardsville. 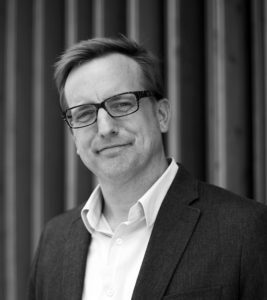 He has spent time as an instructor and a visiting critic at Washington University’s Sam Fox School of Architecture. Joel received his Bachelor of Science degree in Architectural Studies from the University of Illinois at Urbana-Champaign and Master of Architecture degree from Washington University. Jeremy Knoll is a Project Manager with BNIM, which has recently completed the Bancroft School Apartments, a SEED Award winning Kansas City development of 50 LEED Platinum affordable apartment units with a large community-center. Jeremy has served as the prime sustainability and LEED consultant on dozens projects world-wide, and serves as a volunteer leader for both the US Green Building Council and the not-for-profit organization he co-founded, Historic Green. Jeremy has been a LEED advisor to KU’s Studio 804 (design-build) class since 2007, helping each class to build LEED Platinum buildings – including the first LEED Platinum certified building in Kansas, the first Passive House in Kansas, and the first Living Building in Kansas. 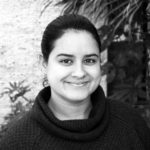 Elaine Moralez is a Design Associate at buildingcommunityWORKSHOP [bc] in Houston, TX. She led the Rapid Disaster Recovery Housing Pilot Program (RAPIDO) and supports other projects, policy, and community capacity initiatives. Elaine led the Brownsville City Design Studio yearly programs, headed the launch of the Public Interest Design Initiative (PDII) in the RGV, and worked directly with Community Organizers and leaders in the development of the LUCHA library. Her interests include community development in post-conflict and post-disaster contexts. Elaine obtained a Bachelor of Environmental Design and a Master of Architecture from the University of Puerto Rico and a Master of International Cooperation from the International University of Catalunya in Barcelona, Spain. She also has a Post-bachelor Certificate in Urban Studies from the UPR. 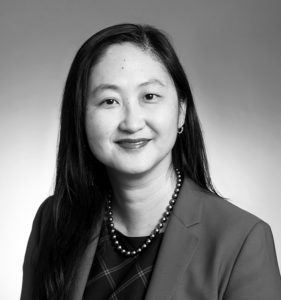 Esther Shin is President of Urban Strategies, Inc. She leads a team of professionals with expertise in human capital and economic development to help people in communities across the United States. Esther has led or supported nine Choice Neighborhood Implementation grants, amounting to more than $270 million in federal resources, which has leveraged more than $3 billion in additional investments. In 2016 Esther was selected by the Annie E. Casey Foundation for their Children and Family Fellowship. The Fellowship works to increase the pool of leaders with the vision and ability to frame and sustain major system reforms and community capacity-building initiatives that benefit large numbers of children and families. 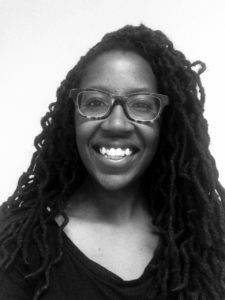 Esther holds a Master’s Degree from the George Warren Brown School of Social Work at Washington University in St. Louis and Bachelor’s Degrees in Political Science and English Literature from Washington University in St. Louis. Rebecca Weaver is the Green City Coalition Engagement Coordinator. Green City Coalition (GCC), is a cooperative agreement between the Missouri Department of Conservation, City of St. Louis, and Missouri Botanical Garden, and is supported by an array of cross-sector organizations working collaboratively with St. Louis residents to turn vacant land into co-created community green spaces. 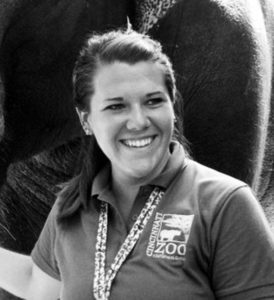 Weaver has a Master’s degree in Conservation Biology from Miami University’s Global Field Program. Her background and interests are centered on community-based conservation efforts, youth leadership development, and grassroots strategies for sustainable community development. Steve Zwolak is the CEO of LUME Institute and Executive Director of University City Children’s Center. He has more than 40 years of experience in early childhood education as a teacher, a parent and family educator, a program and school administrator, and a community leader. Steve’s years as a classroom teacher and a leader in educational arenas have enabled him to build an approach to education for which there is preliminary evidence of closing the racial and socioeconomic achievement gaps. When he joined UCCC the program had only 25 children enrolled. Since 2000, the UCCC program has grown to be one of the most highly regarded early childhood programs in Missouri. It is because of the success of UCCC that Mr. Zwolak led the founding of LUME, and now uses UCCC as a home base for innovation while he and his staff go out into the community to change the face of early childhood education.